“The globe just got smaller again…Vyas’ great imagination and North American background occupy the heart of eclectic, post-modern, inter-cultural, 21st century music making.” STEPHEN PEDERSEN, THE HALIFAX CHRONICLE-HERALD, JANUARY 2006. “Vineet Vyas weaves magic on the tabla with his foot tapping numbers...” SOCIETY MAGAZINE, MUMBAI,FEBRUARY 2007. “TAAL SE TAAL MILA…Taalworks by Vineet Vyas is a dynamic recording… offers audiences a new and enchanting musical experience.” METRONOW, DELHI, FEBRUARY 2007. “Taalworks is a dynamic album…A must hear for the devoted tabla enthusiast.” USP AGE, MUMBAI, FEBRUARY 2007. World Television Premiere – March 10 at 7pm ET / 4pm PT on Bravo! INDIAN CLASSICAL MUSIC MEETS BEETHOVEN Tabla player Vineet Vyas reveals his “fingers of fire” on Bravo! 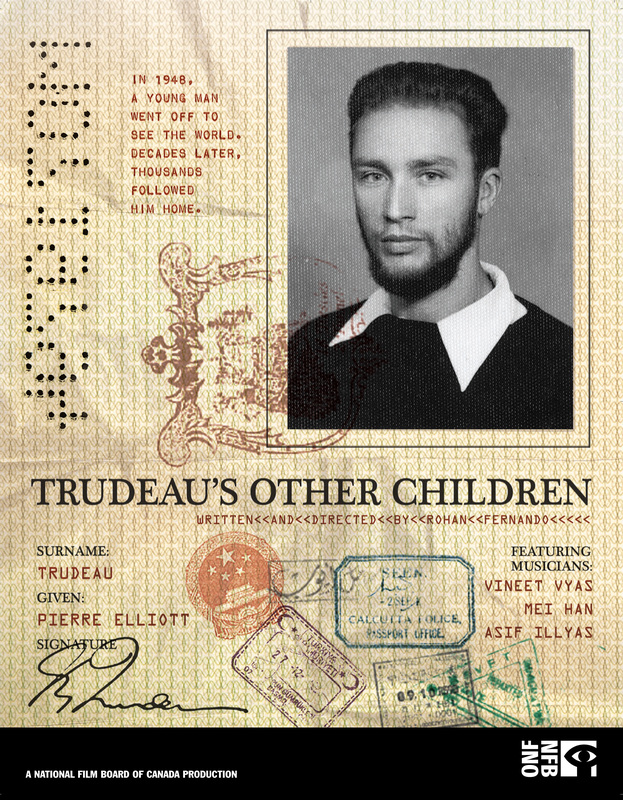 Directed by Rohan Fernando, Trudeau's Other Children highlights the lives of musicians Vineet Vyas, Mei Han and Asif Illyas, as illustrations of one of the greatest social experiments the world has seen: multiculturalism. 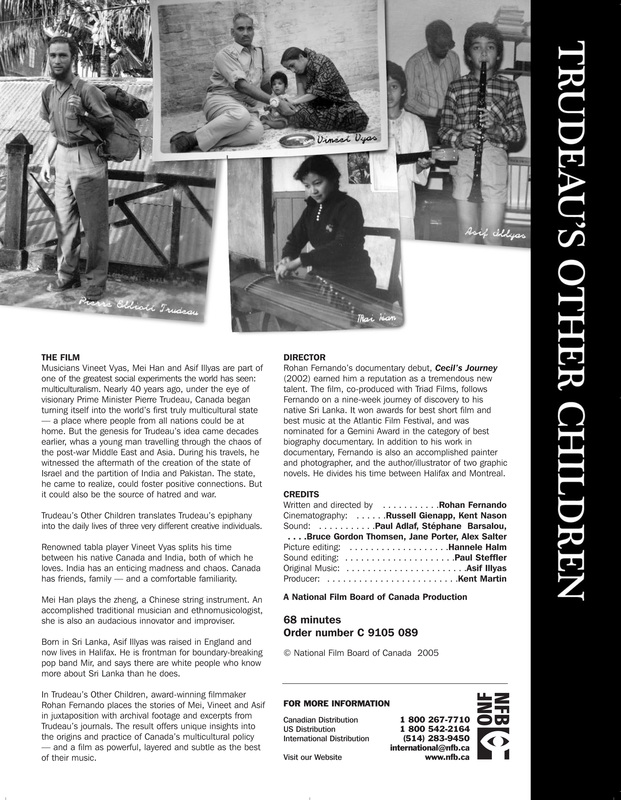 Nearly 40 years ago, under the eye of visionary Prime Minister Pierre Trudeau, Canada began turning itself into the world's first truly multicultural state - a place where people from all nations could be at home. Trudeau's Other Children translates Trudeau's epiphany of making Canada into a multicultural nation into the daily lives of three very different creative individuals. 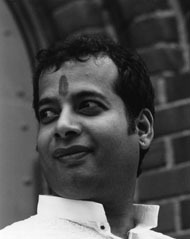 Renowned tabla player Vineet Vyas splits his time between his native Canada and India, both of which he loves. India has an enticing madness and chaos. The documentary highlights some of his performances and features interviews with the artist himself and family and friends. Currently touring Japan, Nova Scotian-born Tabla artist Vineet Vyas returns to Toronto to launch his industry anticipated debut CD “TAALWORKS” on Thursday November 10th, 7:30pm at Aquadisiac, 266 Queens Quay W, just west of Harbourfront Ctr. Admission is free. Join Vineet Vyas for an evening of celebration, solo tabla performance and a partial screening of “The Passionate Eye: Trudeau’s other Children”, a CBC television documentary featuring Vineet Vyas in interview and performance. For further information contact (416) 913-9841 and visit www.vineetvyas.com and for concert schedules and on-line CD sales. Born into a family of traditional musicians and initiated into Hindustani classical music at the age of five, Vineet Vyas is one of Canada’s rising “new-generation” musical talents. A disciple of the legendary Tabla maestro, Pandit Kishan Maharaj, Vyas has performed along side India's eminent classical artists such as Us. Amjad Ali Khan, Pt Rajan, Sajan Mishra, Us.Shahid Parvez, Us. Aashish Khan, Kala Ramnath and Dr. L. Subramaniam. From compositional adaptations of Beethoven's Moonlight Sonata and Saint Saëns’ Flight of the Swan to In the Darbar (Rela, Upaj, Tukre) patterned in ‘Dhire Dhire Kite Taka’ and recitation styles, “TAALWORKS” enchants and enlightens new fans and devoted tabla enthusiasts alike. Bringing tabla to center stage, join Vineet Vyas at 7:30pm on Thursday November 10th to celebrate the launch of “TAALWORKS” and hear one of Canada’s “new-generation” artists rising on international circuits.